The first public tour of the 2011 season was a huge success - a full boat, warm sun, light breeze, and -always welcome-smooth sailing. 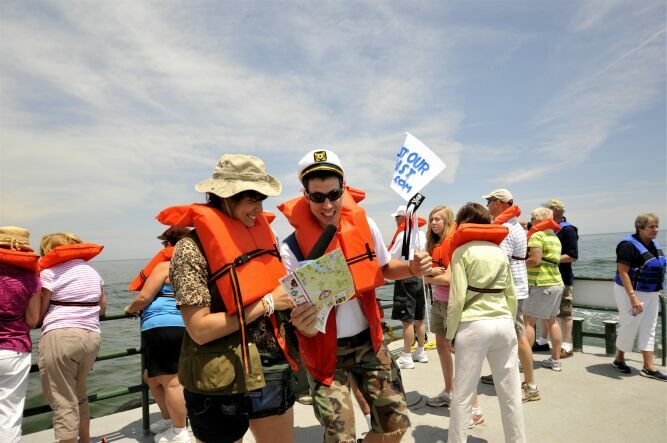 Special guests of the tour were Ryan Brooks and Melanie McClain, winners of the third annual summer tourism promotion Host Our Coast, sponsored by Worcester County, MD, Southern Delaware Tourism, and others. 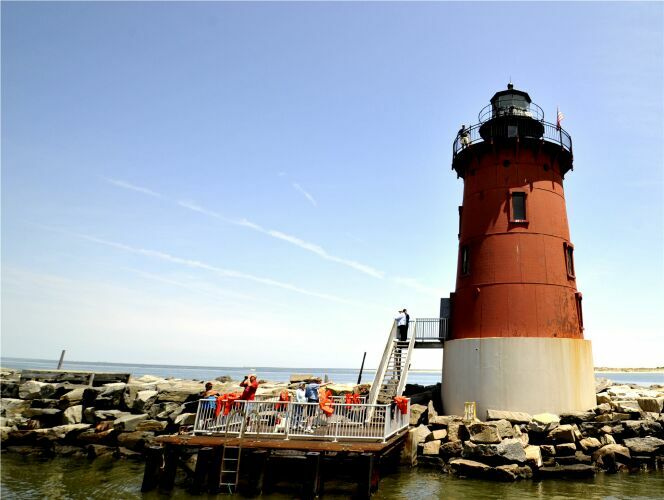 The promotion is designed to use new media to showcase the parks, small towns, museums, and heritage sites of the Delmarva coast. So Ryan and Melanie have a tough job ahead. They have to spend the next three months enjoying all Delmarva has to offer and blogging about it.